A trip to Cork for a bit of research had me booked into a tour around The Maryborough Hotel. The venue sits in a beautiful setting, part of which can be seen in the photo above and on a clear day sitting outside eating is a dream location. I was testing the food with my parents and with them having chicken and beef it gave me the chance to order the food I know best. MEAT - Had a little scare when ordering it medium rare, I was told that it was against health and saftey for minced meat to be cooked any less then well done, but thankfully was cooked as requested. Good quality Irish beef, well seasoned with a good moist texture. BUN - A floury toasted bun. Seemed too dry but did surprisingly well to keep the juices from the onions, cheese and beef. With the good quality bread passed around before the meal this is an easy area of improvement. TOPPINGS - Big beefy caramelised red onions and a cheddar cheese that really packed a punch. 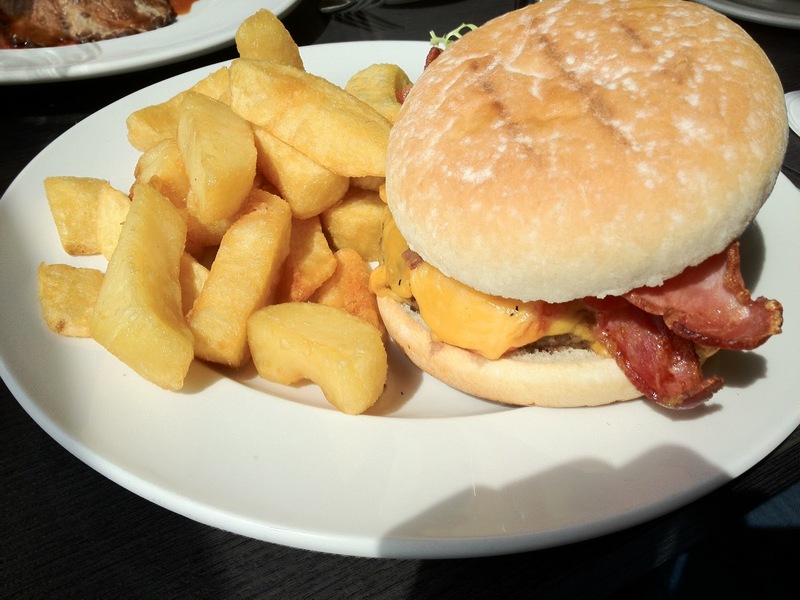 The bacon was floating around had a very nice crisp texture but was on the missing list for a lot of the burger. Only tomatoes added, no lettuce used here but there was a side salad on the plate which could have been used if you like your greens. 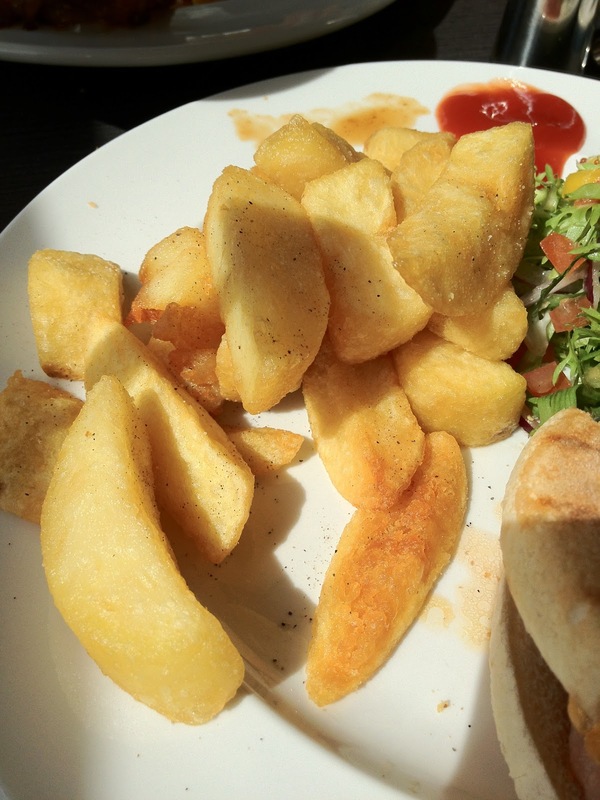 SIDES – Good chunky wedges here, being in Ireland the least you can expect is a good quality potato and it was. Cooked perfectly as well, crisp on the outside fluffy on the inside. The only comment here would be a bit of seasoning was missing, but they were enjoyed (far too many times) and praised by everyone on the table despite my attempts to push their snappy fingers away. Awesome experience for opportunity for finding the rooms and rates compare sites!!!! !Keep up the great work, and positive outlook, continue to inspire, website that compares all hotel prices, and their success results will continuously increase, surely. How do you get over an addiction to burgers? If you want another burger,just think about how harmful it can be! Hamburgers are not healthy! 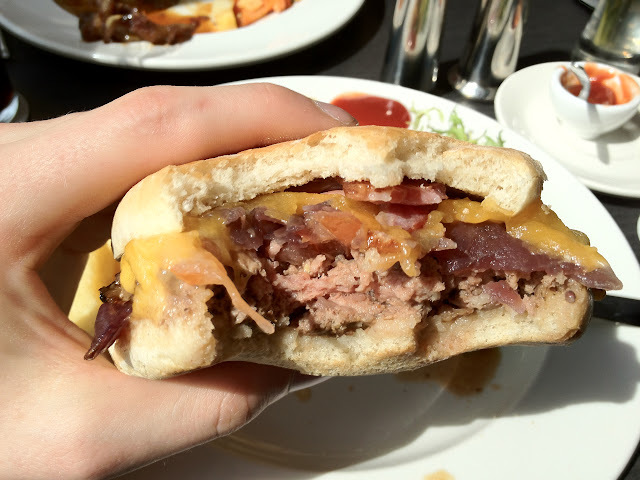 Even if you really like eating hamburgers, take their consumption to minimum. I agree wit the previous guys! Of course, hamburgers are not actually healthy. Haven't you though about it? At least, do not eat them every day!